Why would the word shade be used to mean ghost? The idea that what’s left behind after one passes is less than a reflection is a powerful one. The ghost is no more than a shadow, what’s left after the light of life is gone. 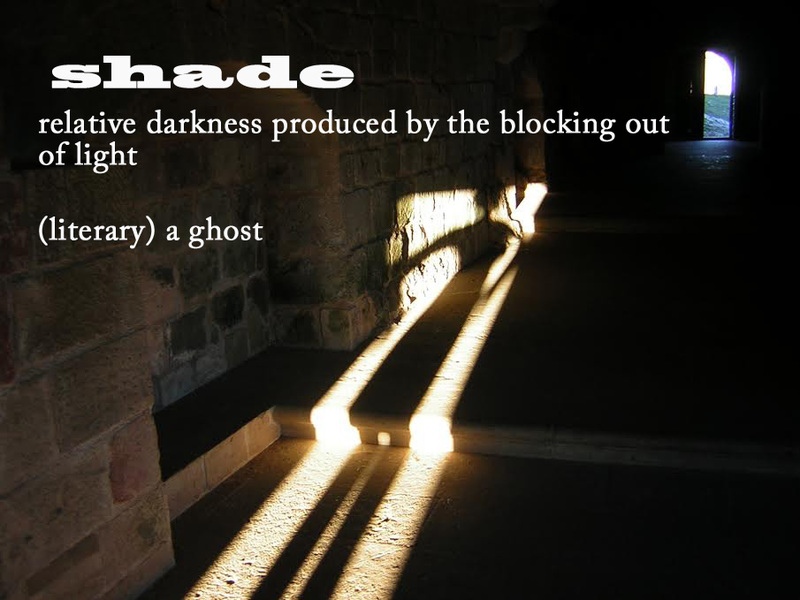 I also think that the word shade as ghost is fascinating because it insinuates the trick of light and shadow: what we saw may have only been an illusion.